I didn’t just create this website as a place to share my experiences with friends and family. It is also supposed to be a resource for future travelers to come to get an idea of what it takes to pick up your life and sustain yourself abroad. One of the most daunting tasks is the tying up of loose ends prior to leaving and making sure you have everything in order for the future. Thankfully, I’ve had a few contacts who are a bit ahead of me in their journey that have offered some tips that I may not have otherwise figured until it was too late. That being said, I’m sure there will be a few surprises along the way! After one week of being unemployed I’m surprised with how quickly things are moving along for me. I wasn’t sure how my mind and body would react to the sudden freedom. I’ll be the first to admit that I have a problem with procrastination and laziness and figured I could very easily fall into a rut of sleeping and playing video games. I fixed one of those temptations by selling my Play Station 3 immediately. This first week off has been incredibly productive for me. I’ve started putting items up on craigslist to sell. Like I said, the Play Station 3 is gone and now I’m working on my electric piano. The car will be the last item to go since I’ll need that up until I leave. I’ve paid my deposit for my TEFL course in Ban Phe, Thailand for April of next year. I’ve obtained my proof of “no criminal record,” from the Sheriff’s office which will be useful for job interviews. 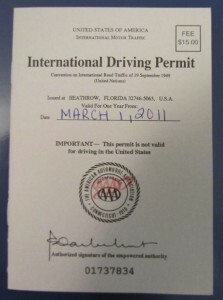 I got myself an international driving permit from AAA as well, since I was pulled over twice in Thailand and Bali and had to pay fines for not having one. I made it effective March 1st since that is around when I should be landing in Asia. The international driver’s permit is not recognized in Ethiopia and I don’t really plan on driving in Africa anyway. I only have health insurance till the end of November so I made my last doctor’s visit this week. I need a medical pack, specifically for my trip to Ethiopia and Somalia (Somaliland) in January. I have three different types of antibiotics: Doxycycline for malaria prevention, cipro for diarrhea and a general antibiotic for any other ailments. I’m not particularly happy taking doxycycline as I’ve used it before and I tend to get nauseous from it, but I’d rather feel a little stomach sickness than find myself hospitalized with malaria. I got my updated tetanus shot . My yellow fever vaccination is still good from 2006 but I need a booster for typhoid before I go that I can only get at the health department. There is still a lot to be done but I’m pretty proud of my first week. Some other items I’ll need to take care of is getting notarized copies of some of my documents, prepare a TEFL resume/cv, and a bunch of travel related equipment and clothing. If i wasn’t going to be backpacking in the horn of Africa before heading to South East Asia this preparation would be far easier. I could easily show up in Bangkok with just my passport and some cash in my pocket and be perfectly fine to get myself together but of course I had to make this a little more adventurous! 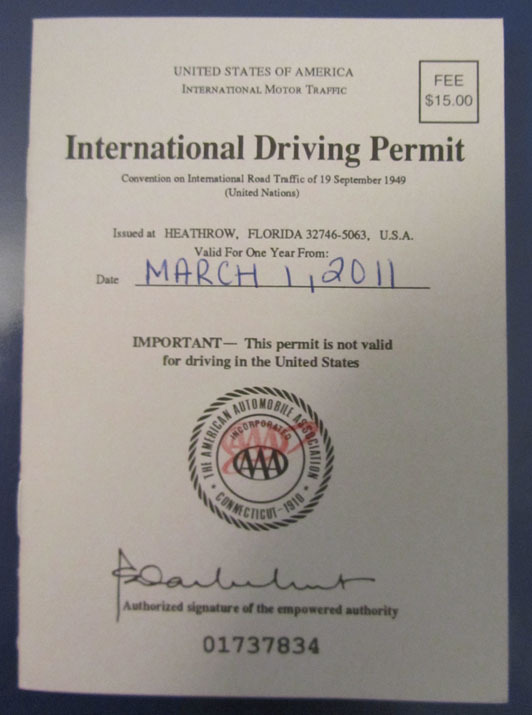 This entry was posted in Horn of Africa 2010, TEFL Related and tagged ethiopia, international driving permit, somalia, tefl by admin. Bookmark the permalink.